The ALTA Turbo Inlet replaces the OEM plastic turbo inlet hose. With a larger internal volume, smooth interior surface allows smoother airflow and makes more horse power and torque. 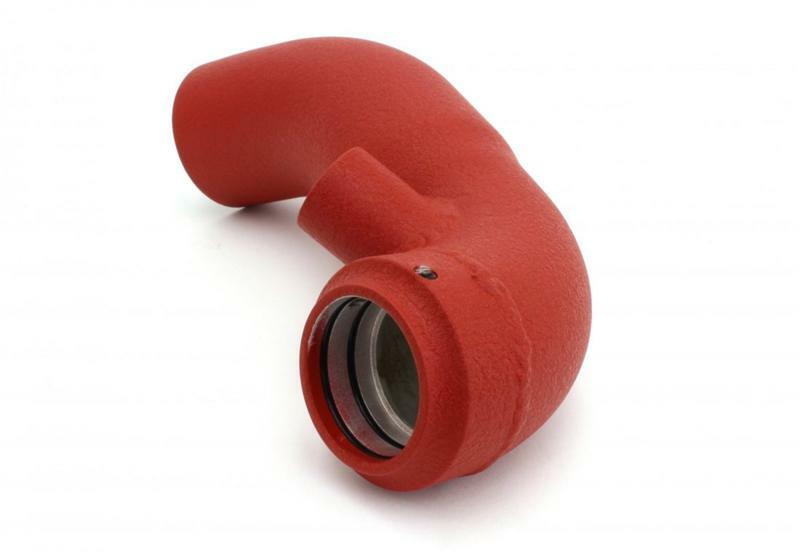 Featuring a CNC’d aluminum coupler and mandrel bent tubing, we have created an even bigger and better turbo inlet hose then even our earlier models. The mouth of the ALTA inlet hard pipe features a CNC’d aluminum coupler. With its precision machined openings, and dual o-ring grooves makes the ultimate seal, with no leaks to mess with your idle or rob you of power. The back edge of the coupler features a traditional style air horn, like those found on race cars, which provides smooth air transition to the turbo inlet. This level of quality and attention to detail is simply not found elsewhere. 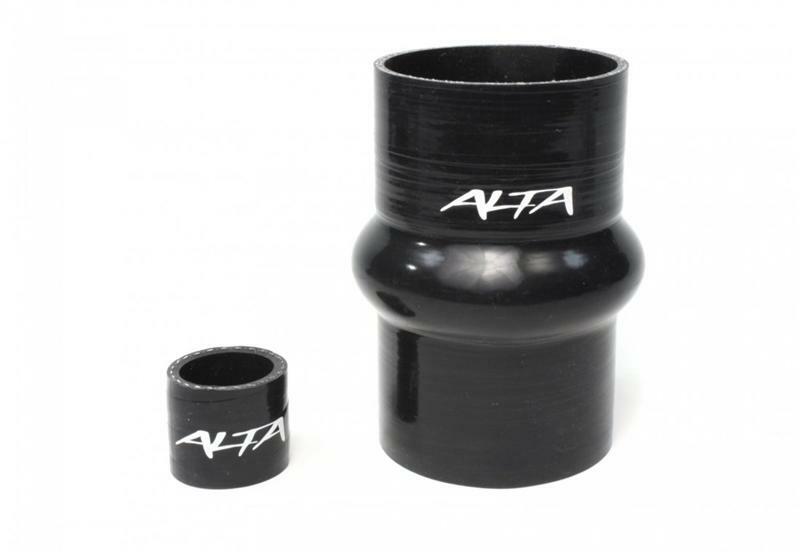 The ultra smooth interior of the ALTA inlet pipe is formed from mandrel bent aluminum tubing. Smoothly transitioning from the filter to the throttle body. Eliminates turbulence and intake restrictions. A side-by-side comparison of the ALTA and OEM turbo inlets clearly illustrates how the ALTA inlet has the largest possible inside diameter. Which simply means more horse power and better turbo response! Starting immediately after the turbo our 2.62” dia. inlet has a smooth 2.37” diameter bend and then cleanly transitions to 1.82” at the throttle body. 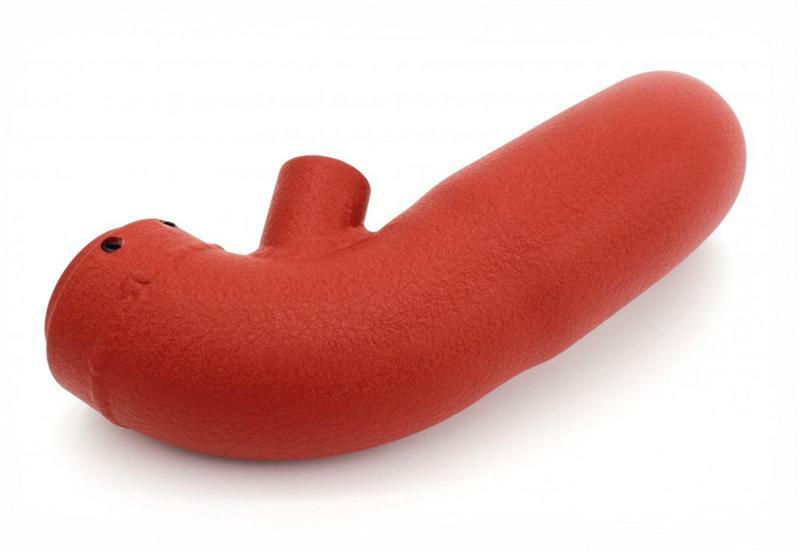 The ALTA inlet hard pipe features a black or red wrinkle powder coat finish. You choose which is best to accent and compliment the color of your MINI!